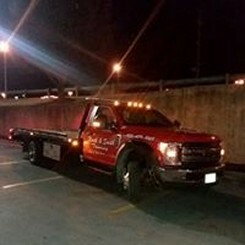 When you are stuck on the road or in a parking lot, you want to speak with a reliable tow truck dispatcher who provides honest and timely service. North & South's certified drivers deliver just that. Whether you drive a compact car or a big rig, we're able to help. You'll find our drivers are professional, experienced, and respectful and can even offer computer diagnostics to assess your vehicle's issue quickly. We have many parts on hand to fix larger vehicles on the spot; however, if we can't do it there, we will tow it for repairs. Our equipment can haul up to 100k lbs. and includes plenty of room for you to ride along with us. Contact us to request our 24/7 towing and roadside assistance services or parts for your heavy-duty vehicles. 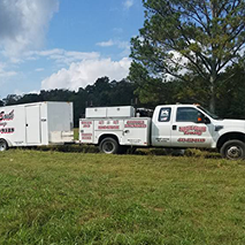 We serve individuals and commercial customers throughout all of southeast and the surrounding areas. If you are a business owner, please call us today to learn about the perks of setting up an account with us. 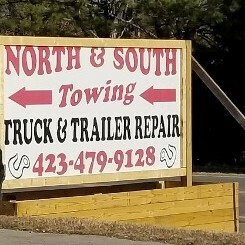 Call today to request pricing details for light, medium, or heavy towing. 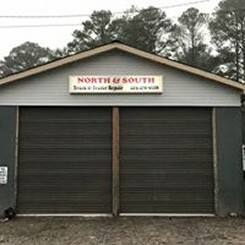 Backed by more than 40 years of combined experience, North & South is a family-owned towing company based in Cleveland, Tennessee. Our owner, Charlie Shook, is a third-generation tow driver and has been in the business for 21 years. He — along with his partner and wife, Jessica Shook, try to provide 100% customer satisfaction. To ensure your experience is as stress-free as possible and to get you back on the road quickly, we've partnered with trusted insurance companies and dedicate ourselves to punctuality. Cleveland, TN, & the Surrounding Areas, Including Chattanooga, Charleston, Benton, Ocoee, Delano, Etowah, Oldfort, Harrison, Ooltewah, McDonald, Riceville, Copperhill, Calhoun, Ducktown, Polk Counties, as well as Dalton, GA & Surrounding Areas.